As Summer approaches with its many fun things and family vacations, let us hold onto our constant remembrance of Jesus, as He asks. Let us keep the teachings and inspirations of His Cross, Ascension and Pentecost close at hand and near in heart. For by being our Christ, Jesus is our Savior and Deliverer, and only way to His eternal Father. 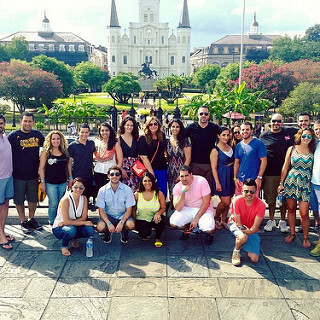 Denver, May 18, 2018: The Young Adult Ministry of the Antiochian Orthodox Christian Archdiocese of North America invites all young adults to register and attend the 2018 Orthodox Young Professionals Conference (OYPC) from August 16-19, 2018 in Denver, Colorado. The OYPC will benefit hundreds of young adults as they gather together for four days and three nights of powerful discussions from dynamic speakers, spiritual edification including divine services, and fun social events. They will leave as new friends with strong networks to face the pressures of being an Orthodox Christian in today's world. The weekend's three amazing speakers, Fr. Milad Selim, Protodeacon Peter Danilchick and Ms. Katrina Bitar, will offer their unique expertise and guidance to the attendees. Each afternoon and evening, the young professionals will connect with each other as they explore exciting venues in Denver. Saint George Cathedral in Coral Gables, Florida celebrated "65 Years of Legacy and Growth" at the Annual Saint George Love Ball on Saturday, May 12, 2018. The black tie event—the annual fundraising gala for the Cathedral—was sold out, bringing together the community to celebrate this momentous occasion. The Love Ball was designed to celebrate many wonderful occasions. To name a few: the patronal Feast of Saint George, the 2018 graduates of middle school, high school, and college, Mothers' Day, the honorees of the Dean's Certificate of Distinguished Service, and the Cathedral's highest award, the Medal of Merit. Coming Soon! 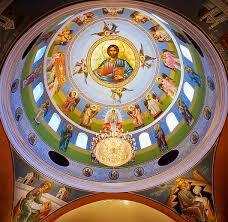 "My Orthodox Church"
Coming Soon! 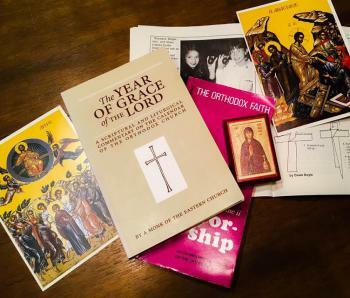 "My Orthodox Church" is a curriculum that challenges our middle school parishioners to answer the frequently‐asked‐questions about who we are and what the Divine Liturgy is about. It is the first in a series of four. A separate document, "Teacher Notes," is also available. These materials are prepared by the Antiochian Orthodox Department of Christian Education. Today we proclaim with immense joy we have seen the True Light and have received the Heavenly Spirit for with the presence of the Spirit is the fulfillment of Christ’s promise and the completion of hope. For, the Holy Spirit provides all things. I greet all of you in the joy of the ascended Lord Jesus Christ Who, having completed His divine mission on earth, returns to the right hand of the Father. The reconciliation between God and man has been completed, and the heavens gather with the earth to sing a triumphant hymn of praise to the thrice-holy God. 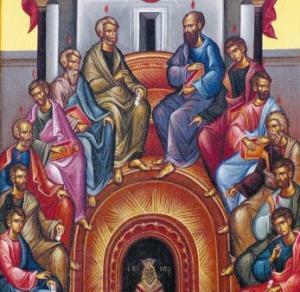 As we contemplate the Apostles' heavenly gaze, we look forward with anticipation and longing to the next great feast of the Church, Pentecost, which is so intimately linked to the Ascension. On the night before He suffered, the Lord Jesus promised His disciples to not leave them orphaned: "But the Comforter, which is the Holy Spirit, whom the Father will send in my name, he shall teach you all things, and bring all things to your remembrance, whatsoever I have said unto you" (John 14:26). We celebrate with great joy, Jesus walking from His sealed tomb on the third day – He Who is the promised Christ and Word Who became Incarnate. This event reminds one of His friend Lazarus walking from his tomb, after his being called forth by He Who is Resurrection and Author of Life. Thankfully and with great gratitude, He has liberated us from the great darkness and vain folly of man's wisdom permeating much of the Old Testament teachings, many dating back to Nimod and the Tower of Babel. At 2:00 AM on the Friday of Bright Week, a group of Christian healthcare professionals boarded a school bus in the parking lot of Falling Spring Presbyterian Church in Chambersburg, PA for the two hour ride to BWI Airport where our group would soon depart for Honduras on a mission to provide free medical and dental care to one of the poorest communities in the western hemisphere. The Very Rev. Luis Rodriguez, pastor of Corpus Christi Catholic Church in Chambersburg, PA led the ecumenical medical mission team. I was the pharmacist on the team, assisted by my wife, a speech pathologist; we are members of St. Mary Orthodox Church in Chambersburg. 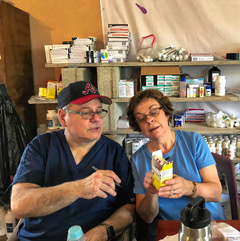 We were also aided by Mary Burkholder, a nurse from Corpus Christi Catholic Church who regularly volunteers with us at the St. Seraphim Orthodox Center in downtown Chambersburg, PA. Our team consisted of physicians, dentists, nurses, nurse midwives, translators, and support personnel on a ten day medical mission to provide free healthcare to the Honduran Village of Guadalupe Carney. The medical professionals on the team represented five different churches from our town. 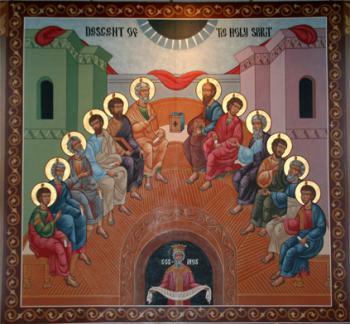 As Orthodox Christians, we exclaim and sing this greeting jubilantly as we look toward the Feast of Pentecost! 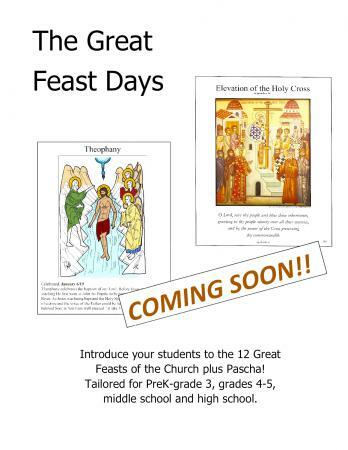 As you reflect on the holy services leading up to Pascha, what comes to mind? For many, it was likely the music. Did it call you to prayer? Did it stir your heart and draw you closer to the resurrected Christ? Did it engage your senses and stay in your mind? Were you driven to sing "Christ is Risen" with the clergy, chanters, and choir? Did you think about the time and efforts that went into bringing these melodies and words to your parish? Greetings from St. Philip Orthodox Church in Souderton, PA. How blessed we are here at St. Philip to have completed the journey to Pascha and to shout out in joy, thanksgiving, and love, "Christ is Risen!" Then to reply, "Indeed He is Risen!" We are blessed to have parishioners from many countries and to share the responses in all the languages as one unified church family. We were led in all our spiritual services by our beloved leaders, Fr. Noah and Fr. James. They were assisted by visiting priest Fr. Witalis, and our Subdeacons Ben, John, and David. Our hearts and voices were uplifted as we listened to and joined in song with our a capella church choir, led by Kh. Elizabeth. As a way of life rather than a religion, Orthodoxy presumes and presupposes a particular worldview that is unique and Christ-centered. It is a way of being in the world, a way of interacting with our brothers and sisters as well as the entire cosmos. It is in this context that I would like to share a few thoughts about the priest’s spiritual fatherhood and the mode of its expression in the Church. The notion of spiritual fatherhood has a long and venerable tradition within the holy Orthodox Church. We find Saint Paul reminding the people of Corinth of his spiritual fatherhood and paternal care for the people of Corinth. “I do not write these things to shame you, but as my beloved children I warn you. For though you might have ten thousand instructors in Christ, yet you do not have many fathers; for in Christ Jesus I have begotten you through the gospel. Therefore I urge you, imitate me." In reminding the Corinthians of his spiritual fatherhood, Saint Paul affirms the generative nature of the role. The fruit of their paternal guidance is healthy Christians who are freed from the passions and illnesses associated with sin. Take time to purposefully consider whether or not your parish is disability-friendly…Once you have given thought to the subject, you’ll likely be aware that there are many areas of parish life to evaluate when determining whether any barriers are present which could prevent full participation for a person or family living with a disability. Barriers can be physical, attitudinal, or even programmatic. (Programmatic Barrier: “any program that cannot be accessed by persons with disability has a barrier that must be considered and intentionally removed.” page 47) So, after completing the analysis of where your parish lands on the disability-friendliness scale, now begins the task of removing existing barriers through education and physical changes. 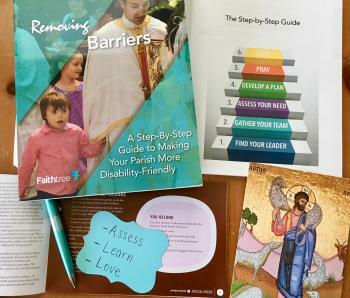 The book Removing Barriers: A Step-By-Step Guide to Making Your Parish More Disability Friendly (a Faithtree Resource), is available to guide your efforts from an Orthodox Christian perspective. Story of Lazarus: "Whoever lives and believes in Me shall not die." In preparation for Jesus re-entering Jerusalem on Palm Sunday and His call to meet Him at His lifegiving Cross – His Banquet Feast Table – the Lord offers the eye-opening events surrounding Lazarus, who became sick unto death. The one Jesus called from his tomb, after four days dead. In the Gospel of John, Chapter 11, Jesus – the promised Christ and Word Who became Incarnate – makes it clear to those with ears that have heard, to now gain the eyes to grasp that Jesus – in His Being – is Light, Life, and author of Resurrection. Note in John 11:3-4, He says, "This sickness is not for death , but for the glory of God , that the Son of God might be glorified through it." May His Incarnational Wisdom become our Instruction and pathway to salvation. I embrace and greet you with a holy kiss in the Name of the Resurrected Theanthropos Jesus Christ, and, together with you and Orthodox Christians throughout the world, I joyfully proclaim that Christ is risen! Christós anésti! Al-masíh qaam! Christós voskrésse! Hristós a înviát! Crísto ha resucitádo! For the Apostles, Great Friday was the last day of the week and the last day of life as they had known it; on the following day, the day which preceded the Resurrection, the darkness was as dense, as obscure, as impenetrable as it had been on Great Friday, and if the Resurrection had not happened, all days of the year and all the days of their life would have been days of total darkness, days when God was dead, when God had been conquered, when God had been definitely and radically exiled from the community of men. The time of Easter and Pentecost is a season of great rejoicing in the Orthodox Christian Church. In this part of the liturgical year, we celebrate Our Lord’s glorious resurrection, His ascension, and preparing our hearts for His sending of the Holy Spirit to us at Pentecost. Each of these events has a feast of its own in our liturgical year, because of their great importance. Easter (as it is called by the monk who wrote The Year of Grace of the Lord, though many of us refer to this feast as Pascha) is a feast in its own category: it is the Feast of Feasts, and is too important to be included with the other twelve feasts of the liturgical year. And rightly so, for it celebrates a victory like no other! 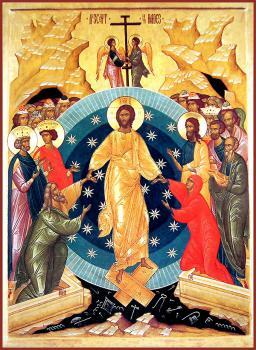 The bright glory of Christ's resurrection dawns upon all humanity and all of creation is renewed and redeemed. Through our participation in the death and resurrection of Christ, we become heirs to His kingdom and capable of union with the Almighty and thrice-holy God. This is the culmination and purpose of our spiritual struggle during Great Lent. We began the period of the Fast with the words of the Psalmist, "By the rivers of Babylon, there we sat down, yea, we wept, when we remembered Zion." (Psalm 136) To the extent we engaged in the ascetical struggle of Great Lent, we bear within us the joy that comes from our return to our true home-union with God. In his Paschal Orations, Saint Gregory the Theologian reminds us that our spiritual efforts continue and intensify in the glow of Paschal joy. 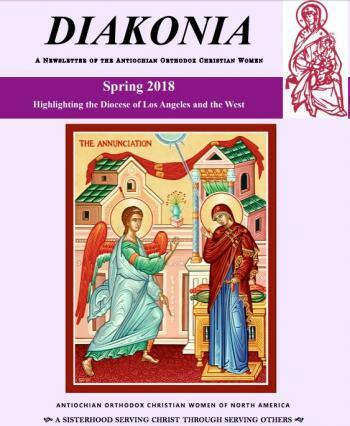 The Spring 2018 issue of DIAKONIA, the newsletter of the Antiochian Orthodox Christian Women of North America, is now available online. This issue highlights the Diocese of Los Angeles and the West, and includes a special message from His Eminence Metropolitan JOSEPH. 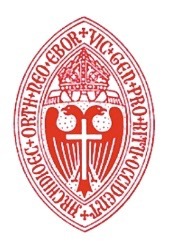 The biennial conference of the Western Rite Vicariate will be held Tuesday, August 7 through Friday, August 10, 2018, at St. Peter Orthodox Church in Fort Worth, Texas. Metropolitan JOSEPH will preside at all liturgical services and will be the keynote speaker. Under the theme “Celebrating our Western Orthodox Culture,” the conference will celebrate the 60th Anniversary of the establishment of the Western Rite Vicariate by Patriarch ALEXANDER III and Metropolitan ANTONY. Particular attention will be drawn to the constituting Edict from Metropolitan ANTONY (of thrice-blessed memory) at the Archdiocese Convention in 1958. Metropolitan Joseph will be joined by Bishop JOHN, the Auxiliary Bishop for the Western Rite, and the Very Reverend Edward Hughes, Vicar General for the Western Rite. Download the 2019 application and information for the Elinor Bourjaily College Scholarship. 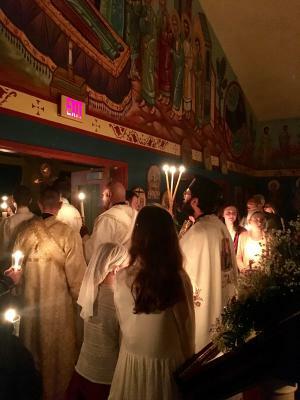 Applications can be downloaded from the website of the Greek Orthodox Archdiocese of America at www.goarch.org (on the spotlight section on the home page). For more information, please email scholarships@goarch.org or call 212-774-0283. The deadline for submitting an application for these scholarships is May 4, 2018. 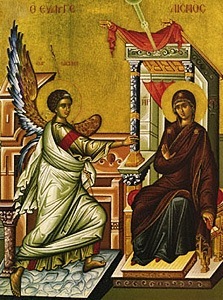 Saint Gregory the Wonderworker proclaims: "But in the holy Virgin alone is the fall of that (first mother) repaired" (First Homily on the Annunciation to the Holy Virgin Mary). It is in her obedience to the will of God that the age of salvation is announced and proclaimed to all the world. Holy obedience to the will of God is a foretaste of the promise of the blessed life of the Kingdom of Heaven. 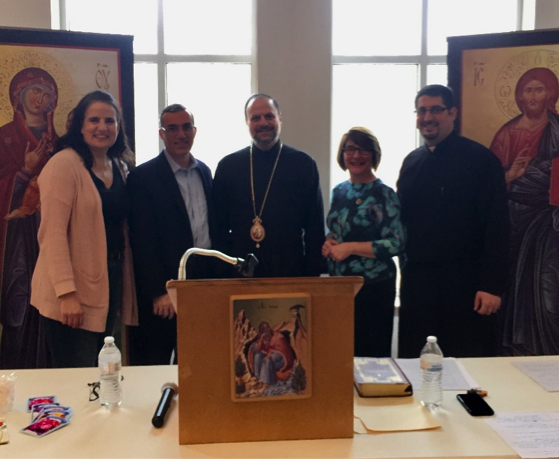 In an effort to continually improve, the DMC DOMSE Winter Retreat Committee wanted to get your feedback about the event that was held on January 25 - 28 @ St. Elias Orthodox Church (Atlanta, GA). Survey will be open from March 15–April 15, 2018. The Diocese of Miami and the Southeast has had a year of change. In Ecclesiastes we are reminded that there is “[a] time to be born, and a time to die; a time to plant, and a time to pluck up that which is planted.” In 2017 our diocese experienced this verse firsthand: we said a heartfelt goodbye to our beloved Sayedna ANTOUN, our first diocesan bishop – for many of us the only bishop we’ve ever known; we also ushered in a new era by welcoming Sayedna NICHOLAS back to the southeast as our new diocesan bishop. As with all changes, this transition has been seasoned with both tears and joy. Our first mission as a diocese with our new bishop was to craft a Winter Delegates Meeting, so our work began.